So far, season 3 of my no-till garden has been a huge success. Earthworms are numerous, and the soil tested just perfect. 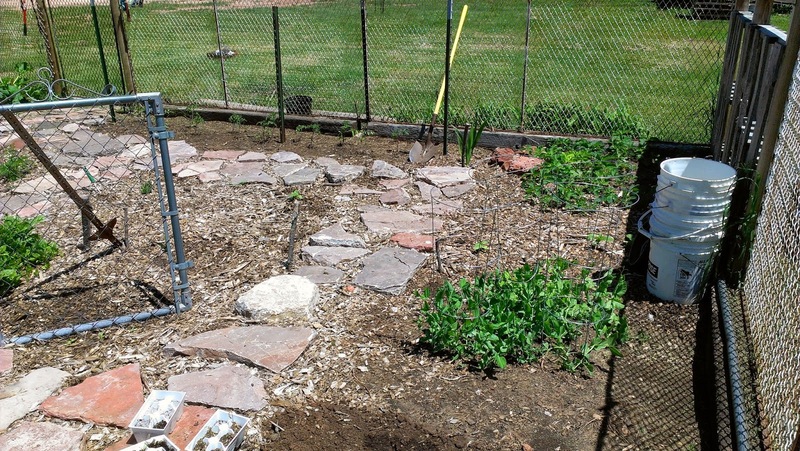 As a bonus, I have only spent about 30 minutes total weeding. Not too shabby if you ask me. 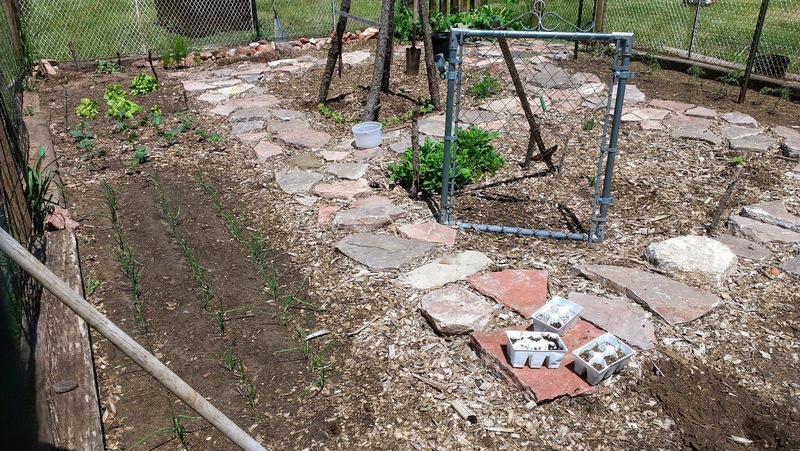 In the garden this year is: Snow peas, white onions, tomatoes, carrots, spinach, radishes, lettuce, broccoli, sweet peppers, cucumbers, pole beans, pumpkins, and zucchini along with herbs, strawberries, and rhubarb. 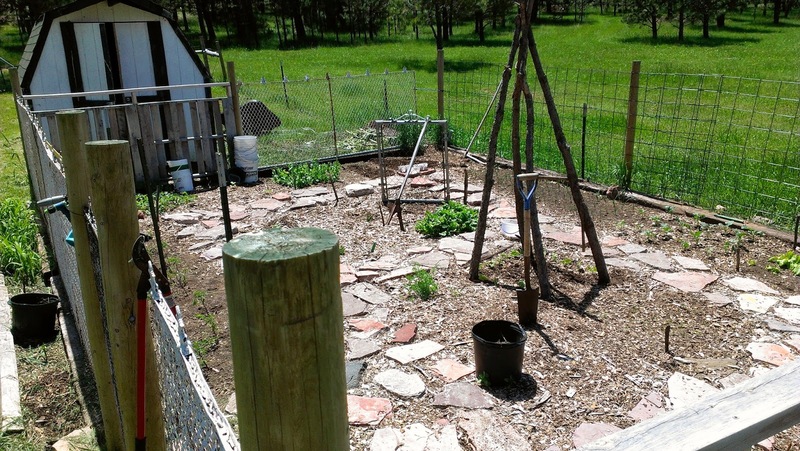 The original plan was to slowly enlarge the garden. That didn't happen. I just crammed everything in and decided that landscaping was more important. 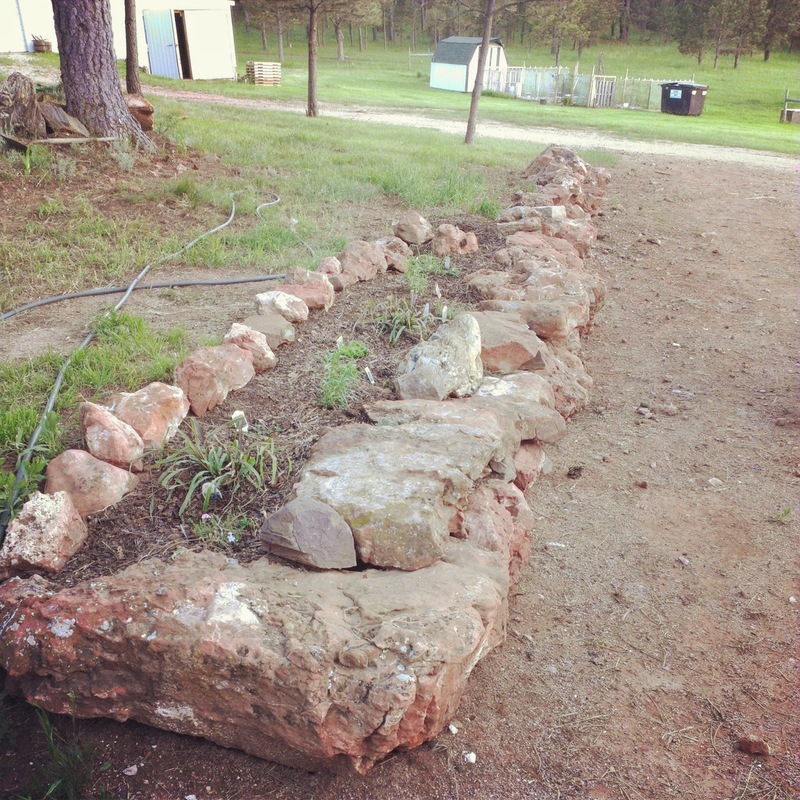 Nathan and I spent one Saturday re-doing the rock retaining wall. 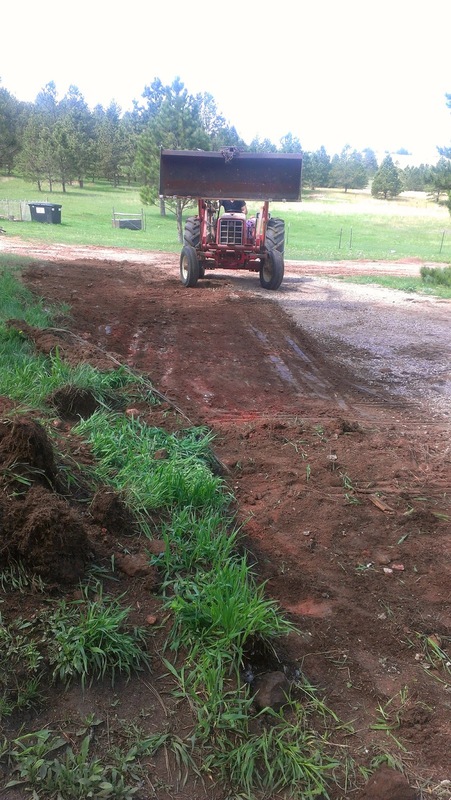 Extending and leveling the parking area. Finally finished, now for plants. I'm now halfway done. I need to buy more plants to get to the end. I love the way it is turning out. 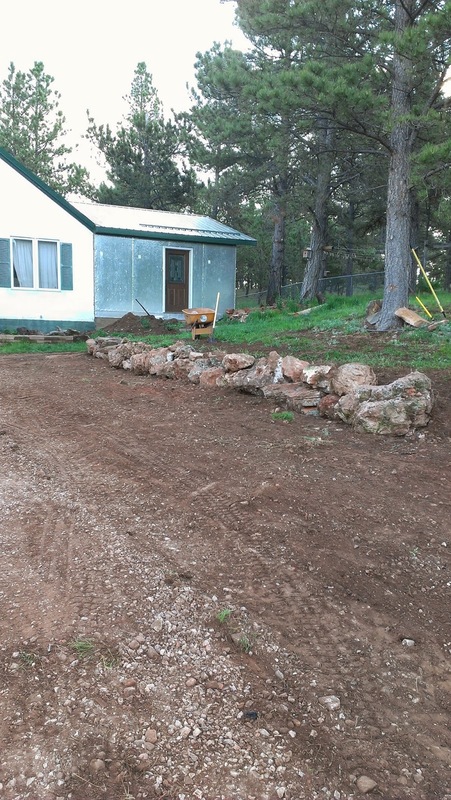 We are going to build a walkway with wood chips because the grass isn't very good beside it. It's a little hard to see in the picture, but I finally bought some Wooly Thyme and planted it between the rocks. It's already spreading fast. 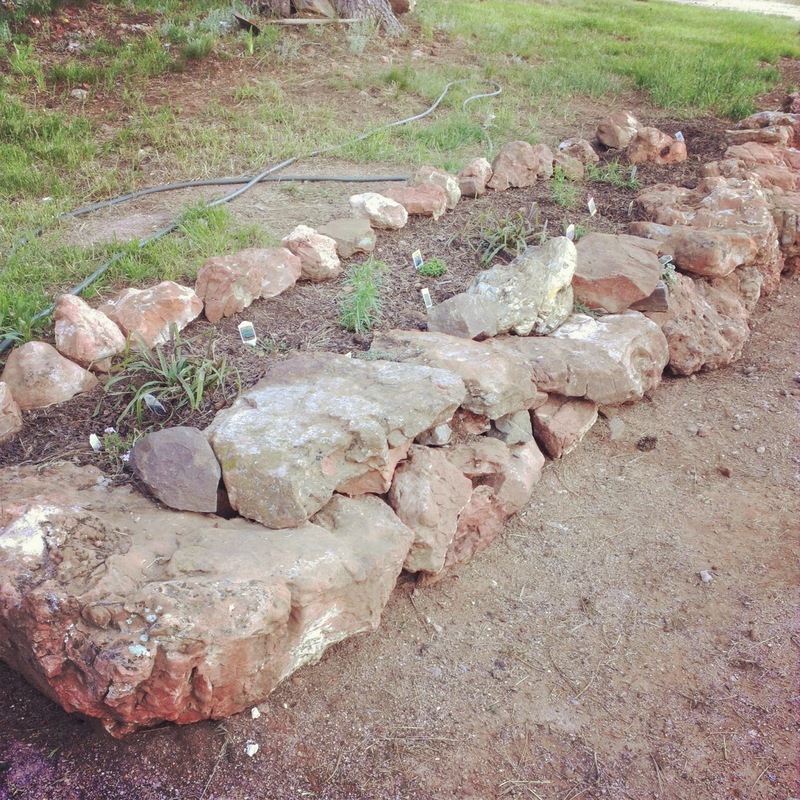 As much as I love vegetable gardening, rock gardening is pretty fun too. Rock gardening is fun. Last year my husband and I drove all over the state rock hunting and hand picked each rock in our landscaping. It was fun and free as we go for drives anyway . Lots of memories,and the gardens are beautiful as well.